For that special someone who loves to stay both fit and beautiful, say hello to the Mira Vivid Wellness Activity Tracker. This bracelet helps you feel as good as you look by tracking your activity without displaying your stats so obviously. The bracelet comes in two different finishes — rosé and gold — and the pendant comes in gold. They both look like regular jewelry but hide a tracker inside that monitors activity like steps, calories, and distance. For anyone looking to get around in style, the folding electric scooter from Xcooter is replacing the hoverboard this year as the most sought after trend for both kids and urban commuters. The Xcooter reaches speeds of up to 15mph and can go up to 15 miles before needing to be recharged. 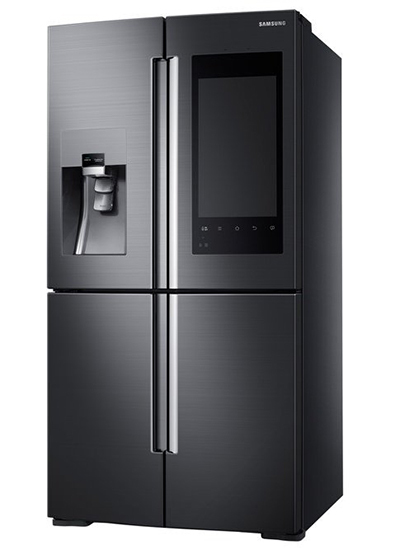 Take the headache out of list making and grocery shopping for your family’s cook in with Samsung’s Family Hub Fridge. This refrigerator is equipped with an LCD screen that lets you order groceries the moment you run out! Even better? If you’re already at the grocery store, you can access your fridge’s app to see photos of the inside of your refrigerator. The fridge also works as a notification center for everyone in your family. You can leave notes, photos, calendars, and reminders as well as play music and watch whatever you’re watching on your Samsung Smart TV. Got pets? Not to worry, we haven’t forgotten about our four-legged friends either. PetBot lets you interact with your pet by using a built-in camera, microphone and treat dispenser. PetBot is the only pet monitoring tool that gives your pets the ability to send you selfies throughout the day, allowing for true two-way communication. Show them you care, even when you're not there!